Earlier in 2016, we launched a very special competition to celebrate 90 years of SCHEU-DENTAL and 25 years of Eurodontic. 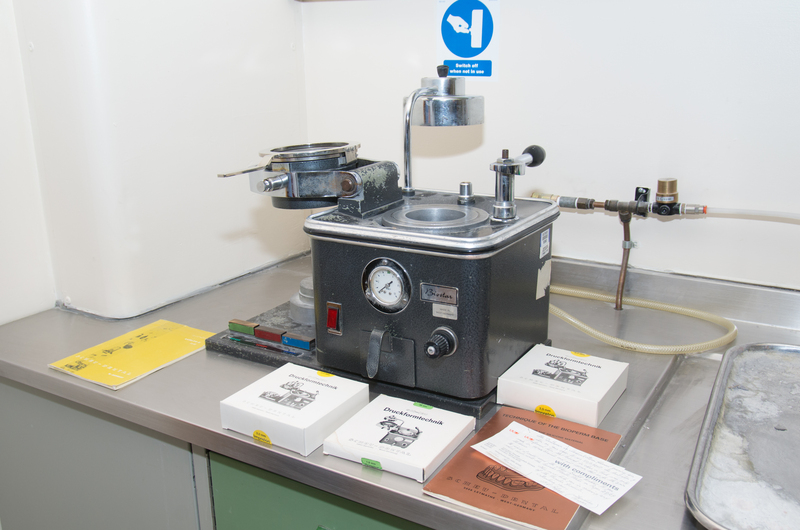 We were on a mission to find the oldest SCHEU Biostar® pressure forming machine out there. We were delighted with the response, with many of our customers sending in photos and serial numbers for their old machines. However, there could only be one winner, and the oldest Biostar® was uncovered in the Department of Oral Surgery and Orthodontics at Stoke Mandeville Hospital in Buckinghamshire. They even had the original instruction booklets! The machine was manufactured in 1977, and was one of the last Biostar 1 models produced. It has been well-used ever since, and as recently as 2 years ago, by technicians Julian Myerson and Jal Irani. Its main purpose was to fabricate oral devices to assist spinal injury patients. 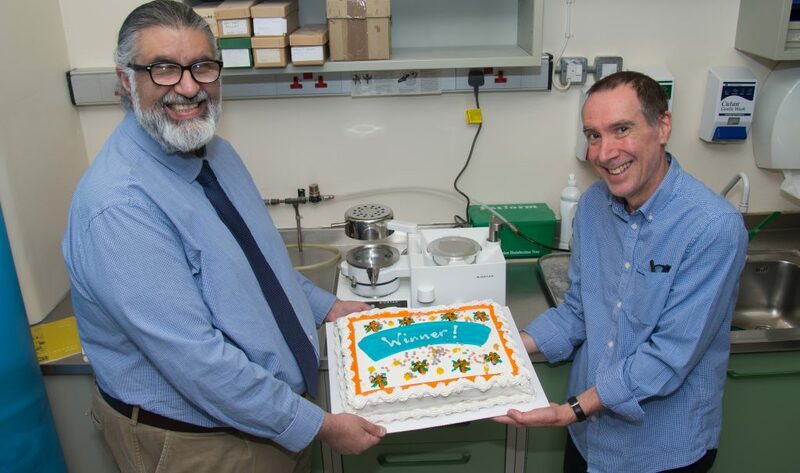 Julian and Jal won a brand new Series 7 Biostar with scan facilities and LCD display, as well as a rather lovely winners’ cake!